Anesthesiology is a complex field. Medical school and residency allow a physician to practice this specialty. Subspecialty training is required in some fields such as Cardiovascular Anesthesia or Critical Care Medicine. 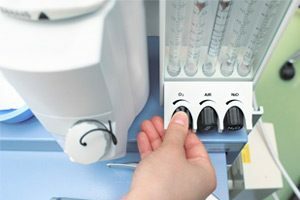 Therefore, when it comes to the analysis of the medical practice of Anesthesiology, be it a medical record review, a deposition or trial testimony, it requires medical experts who have clinical in-depth experience and knowledge. 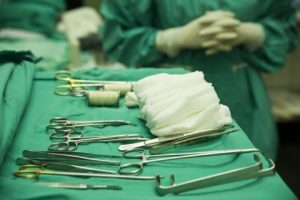 When surgeries require the use of general anesthesia, the patient will be temporarily rendered unconscious. A variety of drugs are being administered, and procedures performed. If drugs are given improperly or are being overdosed, it can have harmful consequences. Fortunately rare, are serious consequences, such as delirium, permanent nerve injury, hypoxic brain injury, malignant hyperthermia, organ failure, cardiac arrest or death. General, but also regional (spinal, epidural) anesthesia can cause less harmful, but more frequent side effects. Examples are nausea and vomiting, sore throat, muscle aches, or chills or temporary memory problems. Dr. Steudel is an experienced anesthesiologist. He is well trained in all aspects of his specialty, and not just aware of the complications that may arise from technical aspects of anesthesia or administering anesthetic drugs, but also understands the pharmacology, the potential dangers of drugs, and possible harmful interactions. 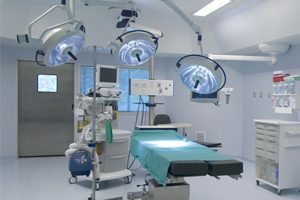 In the Operating Room, before surgery, after administration of strong general anesthesia and relaxing agents, spontaneous breathing is suppressed or abolished. The provider, a physician or nurse, has to ” secure an airway”, e.g. he or she has to support or take over breathing with a mask, a modified mask in the mouth (laryngeal mask) or a breathing tube (endotracheal tube). If this fails – and there are many reasons why it may be difficult (i.e. obesity) – the patient can quickly suffer from life-threatening low levels of oxygen in the blood. Too low oxygen levels can lead to heart attack, stroke, permanent brain damage, cardiac arrest, or even worse, death. The placement of the endotracheal tube (intubation), and the safe removal (extubation) are two key critical periods in anesthesia and critical care medicine. Every anesthesia provider has been trained in advanced airway management. Emergency Room and Intensive Care Unit personnel also should have been trained in basic airway management, according to Advanced Cardiac Life Support (ACLS) guidelines. Despite the fact that modern technology is available to facilitate airway management, there are still many cases of “failed intubations”, and unfortunately, in some instances lead to a disastrous outcome or death. 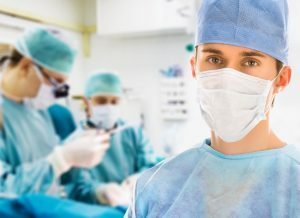 Anesthesiology has come a long way to be a very safe specialty, to provide excellent care to our sickest patients, for the most complex surgeries. That said, a closed claim analysis published in May 2017 in Anesthesiology reports that “Situational Awareness Errors Resulting in Death or Brain Damage” remain the prevalent causes of malpractice claims in the 21st century. Drugs of abuse such as alcohol, narcotics and benzodiazepines may be one contributing element to altered “Situation Awareness”, medical errors, and possibly, tragic outcomes. The harm caused by illegal mis- or abuse of anesthetics and potent painkillers, causing a narcotic death epidemic in the U.S., doesn’t spare anesthesiologists and other physicians. Currently, there are about 850,000 physicians in the United States, ~ 94% actively practicing. It has been reported that 10-12% of all physicians develop a substance use disorder during their career. Although alcohol abuse is common, physicians who have easy access to controlled substances such as opioids and benzodiazepines (e.g., anesthesiologists, emergency room physicians) tend to abuse those drugs more frequently. To further increase safety and decrease harm to patients (and to physicians themselves), the Drug Enforcement Agency (DEA) and other State Agencies now require targeted controlled substance training for all medical providers who carry a DEA license. A physician shall be dedicated to providing competent medical care with compassion and respect for human dignity and rights. A physician shall uphold the standards of professionalism, be honest in all professional interactions, and strive to report physicians deficient in character or competence, or engaging in fraud or deception to appropriate entities. It is our ethical and professional duty to initiate an objective and impartial review of any potential medical error, by independent, qualified and experienced physician experts. Dr. Steudel is uniquely qualified to serve as expert in litigation in medical malpractice, and when controlled substances leave the legal arena of clinical work, and become illicit, for example in the hand of a medical provider. In addition to the clinical indications, he understands every aspect of pharmacology, interactions with other drugs and the practical physiology. He administers routinely Fentanyl and other potent opioids for every general anesthetic for open heart, and for most other surgeries. He applies and teaches drug pharmacology, respiratory physiology, and the effective treatment of overdoses of strong anesthetics and painkillers, and this expertise has become an important contribution to the knowledge provided to the criminal and civil justice system. Dr. Steudel is board-certified by the American Board of Anesthesiology. As expert in Cardiovascular Anesthesiology, Airway Management and Applied Clinical Pharmacology, he will assist with consulting, medical chart reviews, civil, criminal and malpractice case reviews, depositions, and court appearances. The field of Anesthesiology has many complexities, and when complications and tragedies occur, in- or outside a hospital, a professional, reliable and objective medical witness is needed to ensure cases are handled with care and attention. Dr. Steudel is available 24/7 for medical chart review, a deposition or a court appearance, for either defendant or plaintiff counsel, and you can trust us to provide legally-sound medical witness services, objective and impartial, basing it on our assessment of the most current clinical practice and scientific evidence. For immediate assistance, call 877-629-0390.